Combine rum, brandy, cranberry juice, simple syrup, and blackberry purée over ice in a mixing glass. Shake well and strain mixture over ice in a tall glass. Fill with Pas de Deux. 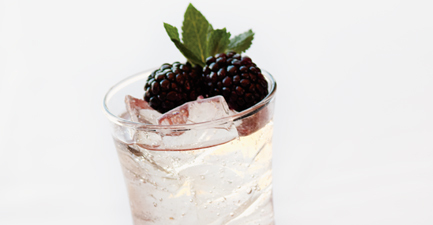 Garnish with fresh blackberries and a mint sprig.